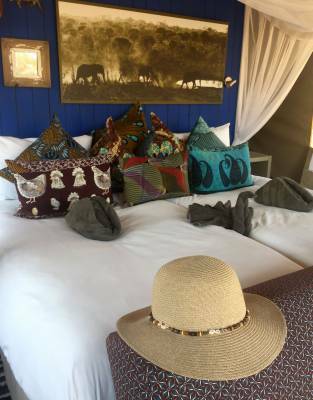 A hat is a must on safari. 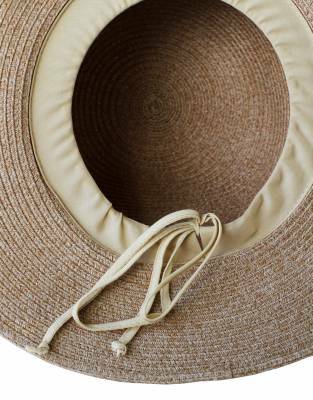 In natural shades, this women’s hat is a favourite for style and protection. 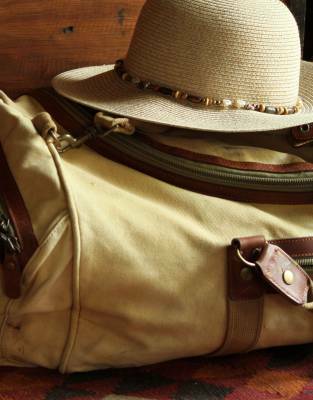 Full-brimmed and packable, it’s a hat for wear both at home and in warm-weather destinations. 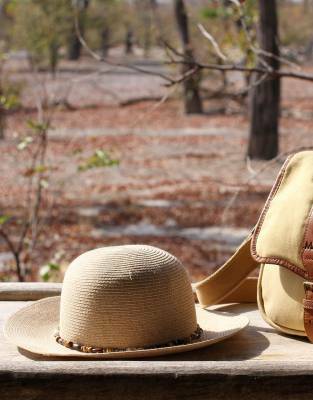 With a three-inch brim all round, the shape of this hat - with its wood and bead detail - suits every woman. 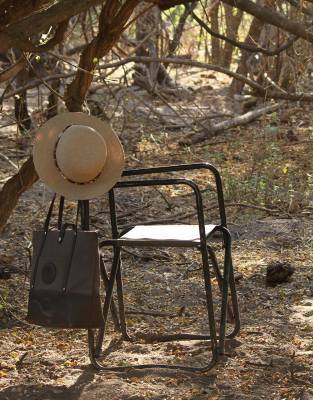 It is also the perfect fit for safari. With a hidden internal drawstring, it allows you to adjust the fit for comfort. 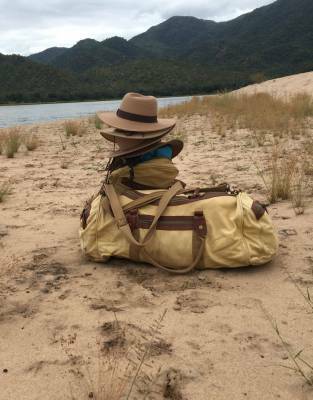 Together with the drawstring, the detachable leather chin strap offers added assurance that you won't lose your hat on the back of open game drive vehicles or on boat trips. 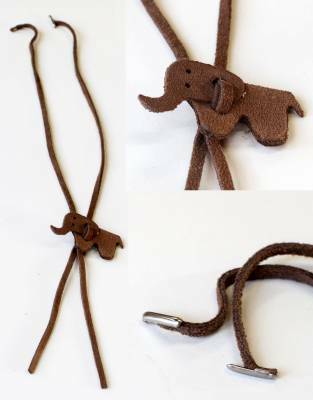 With a leather elephant toggle for added safari style, the chin strap easily attaches to small leather tabs on the inside of the sweatband. 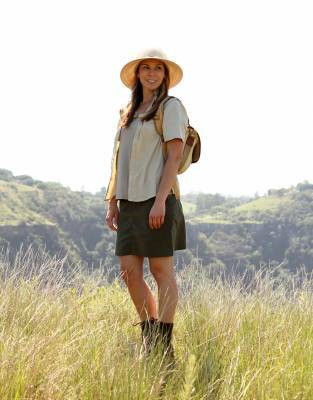 *Product note: While this hat retains its shape relatively well, we recommend you fold it in half and avoid putting too much weight on top of it. 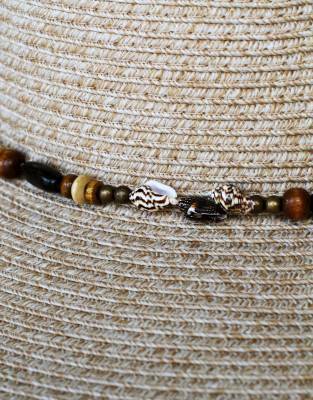 ⊙ MATERIAL: Made from 100% polypropylene with wood and beaded detail. 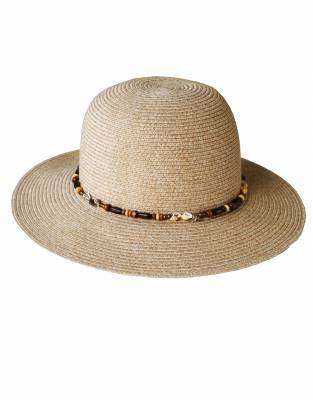 ⊙ SUN PROTECTION: Because the fibres are knitted close together and with the 3-inch brim, this hat provides all-round SPF50+ sun protection against harmful UV rays.